The war in Vietnam was unique in many ways. Films that attempt to illustrate the conflict have some tricky ground to cover. 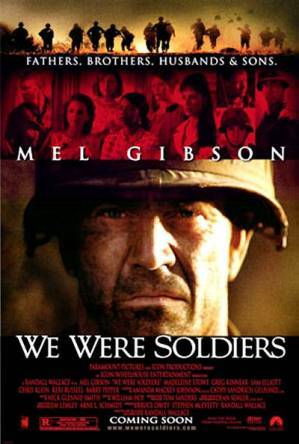 One of the classic Vietnam War films was, of course, We Were Soldiers Once. If you'd like to watch the film before we cover it here, go ahead and do so now. Or, listen to our views first, as pathetic as they are, then watch the film for yourself and see what you think. Both ways work for us. We do have 10 minutes of digression at the beginning of the show and we hope, as always, you will find it entertaining enough.